Building a Great Company Quickly requires starting with great people. 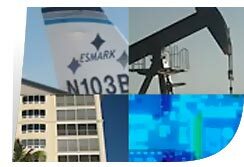 Esmark has been built by a multi-disciplinary team of executive managers trained in operations, sales, strategy, finance, and engineering. Combined with an innovative, committed, and loyal work force, Esmark has a leg up in today's challenging human resource marketplace.